One of the major topics we will be discussing at the three soon-to-be-held, different sets of Alcoholics Anonymous history and Christian Recovery Movement conferences is the newcomer. Somehow, many an alcoholic or addict newcomer comes into the recovery rooms bewildered, troubled, fearful, and forgetful. And then it's as if he is thrown to the lions. Yes, he's given a hug, a cup of coffee, a Big Book, a phone number to call, and a hearty welcome. But he is very likely to leave any kind of a meeting still wondering what kind of a fellowship he is entering. 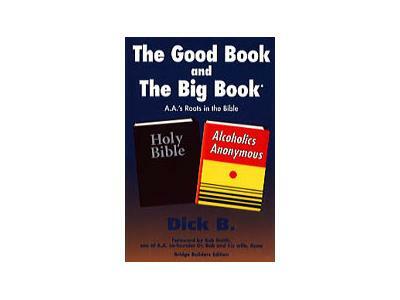 Most likely, he won't hear about the Big Book, the 12 Steps, God, A.A.'s origins, A.A.'s varied approaches to recovery through the years, sponsorship, the purpose of meetings, or what to do when he is alone, ashamed, frightened, depressed, and woozy. If the newcomer is not given an orientation, an indoctrination, or a Beginner's meeting with suggestions, he may soon drift into the pool of confused, uninformed, and whining masses that abound in the rooms but pay very little attention to him. And possibly pay lots of attention to "relationships," to hand-me-down opinions and suggestions, to the importance of never missing a meeting, and the appropriate message: "Don't drink or use, no matter what." The newcomer deserves better. His chances of permanent recovery could be better. His qualification to help somebody else can be improved. Both his mentor or guide or sponsor, and the newcomer himself, need to be lifted up, taught, guided, and aggressively qualifying themselves to be helped and to help others. And the newcomer will be the topic tonight.